Flamingos. They're beautiful birds. They generate such fascination with some people that a few decades ago, they began incorporating them into their home decor. At first, it was just out on the lawn. 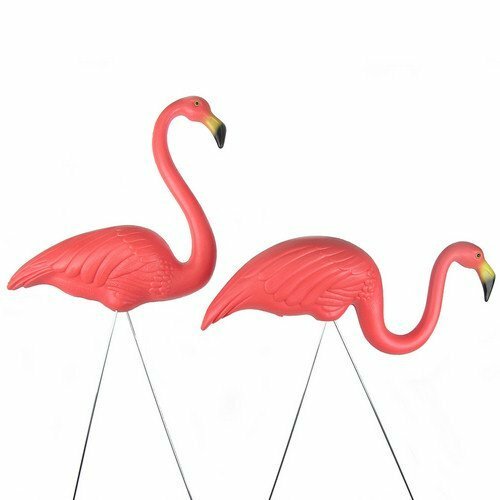 You know, those plastic pink flamingo lawn ornaments. Now, for many, flamingos have moved indoors. I'm not sure why big rosy birds in the yard ever became so popular, but they did. Some folks love to have them outside their door. Others have found in them a whole theme for home decor, or at least use them for little decorator touches. What is it that draws so many of us to them? I wish I knew. Even my older brother has fallen victim to their spell. He has a big fabric one with a spinning tail in his yard! 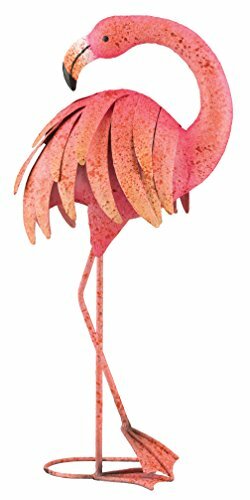 If you're like him, or if someone you know is, here's a whole page of flamingo fun and some great gift ideas for any flamingo lover - including yourself! Enjoy! The West Indian Flamingo is the national bird of The Bahamas. That's what they tend to call them there. You also hear this species referred to as American or Caribbean Flamingos. Those are just three different common names for the species Phoenicopterus ruber. Yes, they're everywhere, from South Florida to Seattle. You never know where they'll turn up! Over the years, they've become a a kitschy piece of Americana. Maybe they touch our funny bone, or bring out the whimsical in us. Whatever it is, it seems they're here to stay. For some, like my brother, they're strictly a yard decoration. He loves a warm climate, so inside, it's a palm tree home decor for him. For others, those exotic looking creatures have moved indoors. A move to a slightly more sophisticated or artistic style is accompanying that mover for many who have welcomed them into their homes. The second piece at right can be used either outdoors or inside. Who's responsible for pink flamingo madness? The originator of these items, which seem to magically sprout up in yards across America from time to time, is artist Don Featherstone. Working from pictures in National Geographic, he created the first pair in 1957, as an employee of Union Products. After the lawn ornaments became so popular that other companies started making copies, Featherstone added his signature to the genuine article. 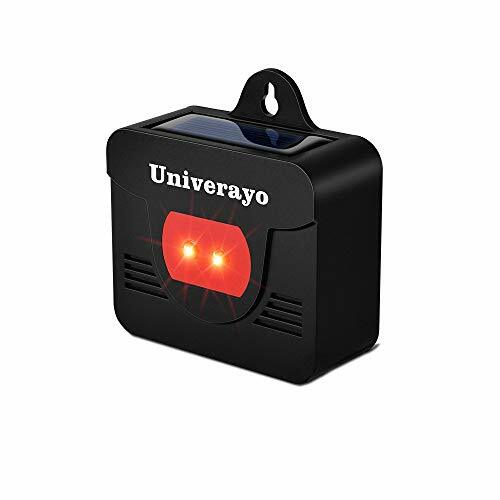 While there have been numerous imitators over the years, the original design was produced by Union Products until they closed in late 2006. Today, the copyright, as well as the original molds are owned by Cado Produts. They alone have the right to product these now classic ornaments with Featherstone's signature on them. And, they are making them in greater quantities than ever. 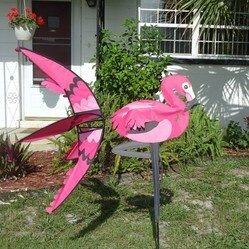 It seems those kitschy pink birds are not about to go away! 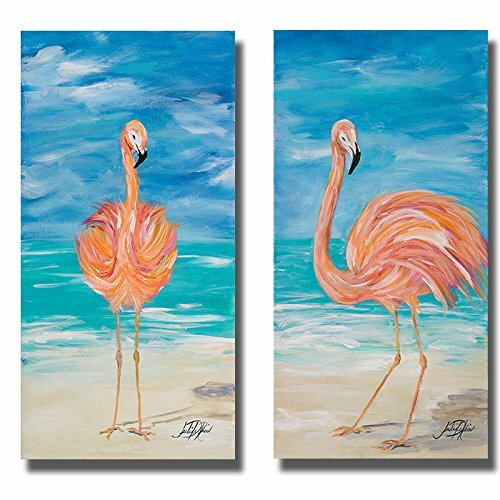 So, when you purchase a pair of pink flamingos (the real thing is usually sold in pairs) for your yard, be sure to get the ones with the artist's signature on them! Look for it on one side of the bird's body, beneath the wingtips. They're available now on Amazon, in the original pink, and also in white, sky blue, and black. June, 2015 - Sadly, the world lost the creator of the plastic pink flamingo in 2015. Don Featherstone was 79 years old. Donald Featherstone was an American Icon. Though he did a lot of other things, he'll always be remembered as the inventor of those ubiquitous plastic pink lawn flamingos. They're a recognizable bit of true Americana. Pay tribute to Featherstone with authentic ones in your own yard. As always, the standard ones come in a set of two, one with its head up, and one with its head down. 2 - It's not a flock. 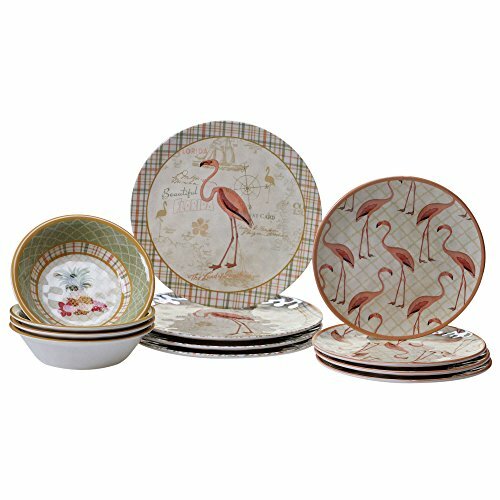 The proper term(s) for a group of flamingos is either a "stand" or a "flamboyance." There's a special term for a group of babies. The youngest ones, a couple of weeks old, gather in "microcreches." Older chicks hang out together in very large groups called creches. The population of a creche can be in the hundreds, or even thousands. 3 - The pinker, the healthier. In the wild, a very pink or even reddish adult is getting sufficient amounts of essential nutrients in their diet, and is therefore a more desirable mate. The pink color comes from feeding on things that contain beta-Carotene, including blue-green algae, and small crustaceans, like brine shrimp. A diet rich in blue-green algae produces the most brilliant plumage. Yes, flamingos have moved indoors. No, not those plastic ones. Not the real live ones either. 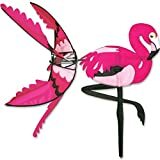 In the last few years, the variety and availability of flamingo themed decor items for inside them home seems to have increased. And that goes for virtually every room of the home. 4 - They like to be with lots of others, and do not do well alone or in small groups. That's why you probably won't see a zoo with only two or three or them. There will be over a dozen at an absolute minimum. 5 - They are good swimmers and fast flyers. They don't swim very often, but that doesn't mean they can't. As for flying, they can reach speeds of 35 mph. That's faster than a dolphin swims, and dolphins are pretty fast swimmers. 6 - At Nassau's Ardastra Gardens, in The Bahamas, you can see the world famous Marching Flamingos. Never heard of them? Now you have! And, there's a video below, so you can see them, too. 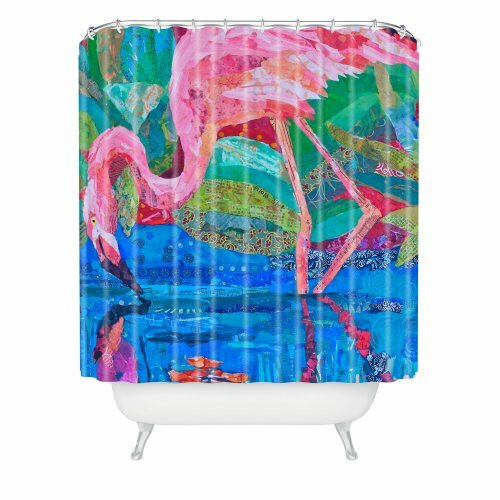 Here is a sampling of some home decor ideas with flamingo flair from your friendly designers at Zazzle. Toss a stand of flamingos on your couch, mount a pink and purple clock on your wall, or indulge in a fun and frivolous tea time. From the sublime to the sarcastic, you're sure to find it at the net's number one on demand printer. Order your favorite for yourself or for someone special today. The flamingo show at Ardastra Gardens, in Nassau, The Bahamas, has been going on regularly since 1957, the same year Don Featherstone created his famous plastic pink flamingo lawn ornaments. 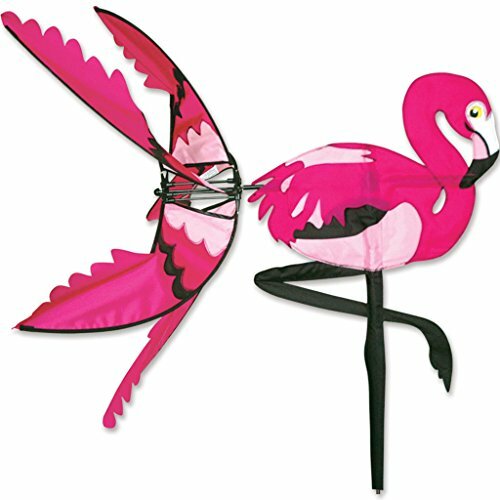 As the video explains, these large pink birds are not easily trainable. But someone did it here, decades ago. Today, they don't know exactly how he did it. But, here's the neat part: The flamingos themselves train new members of the flamboyance (flock.) So, the show goes on. If you are planning on going to Nassau, and want to see them live and in person, they march daily, in the mornings at 10:30, and each afternoon at 2:10 and 4:10. They sure are fun to watch. Enjoy the video! I'll Drink to That - Will you? Those marching flamingos are just a whole lot of fun. Raise a toast to those entertaining tropical birds! And what could be more appropriate than to toast with a little bubbly or wine in a glass made for the occasion? Let a flamingo wine caddy keep you bottle at the ready for you. Then, just pour, and enjoy ... either before dinner, or along with your meal, served, appropriately enough, on pink flamingo dinnerware. Do you have something to say for yourself? CruiseReady, Do you know anything about some student prank of filling a campus lawn with pink flamingo figures?